The World is Our Playground: Nothing is more valuable than your playtime. That is why BRP is dedicated to continually finding new and better ways to help you enjoy your favorite powersports. From snow to water to both on-and-off road fun, our passion for adventure fuels the innovations that result in the ultimate powersports experience for our customers. 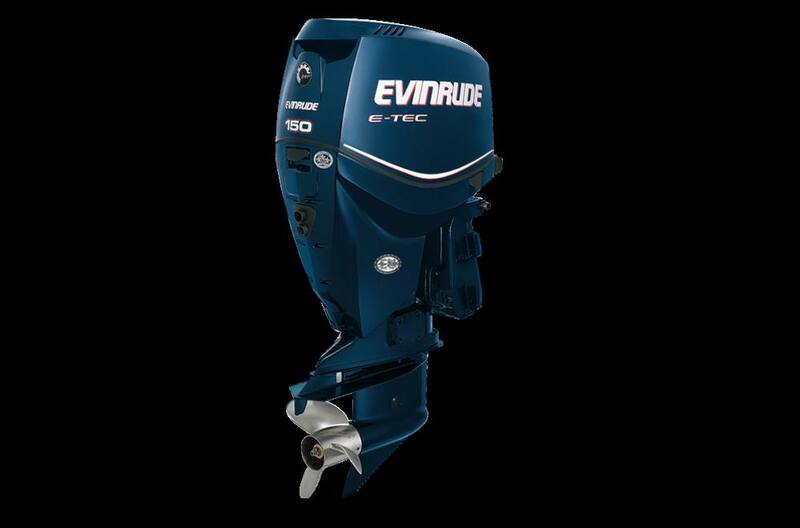 Consumer-Approved: Evinrude outboard engines were ranked "Highest in Customer Satisfaction with Two-Stroke Outboard Engines in the U.S." in the J.D. Power and Associates 2009 Marine Engine Competitive Information Study.SM Receiving this award shows the benefits of owning an Evinrude E-TEC outboard engine. Hail to the Chief: Now even more horses. And all they want to do is run. Bigger engines. Bigger lead. More displacement, more torque, more top-end than anything in the V-6 class. Too much of a good thing? Not when you're this good. Auto Storage: The engine fogs itself automatically in minutes, with no trip to the dealer. So easy, you can do it any time. In the North, you'll be able to go fishing if you get a winter warm spell. And in warmer coastal regions, you have no worries about salt air and corrosion. Bottom line? More time on the water. We won't even try putting a price tag on that. Power & Performance: What's the goal of power and performance? Simple. Beat everything on the water in everything from speed and torque to fuel efficiency. Whether you're running slow, fast or anywhere in between. Less fuel: The engine management system makes more than 8 million calculations per second. You get the precise amount of fuel you need at any given rpm. Not a droplet more. A big advantage when you're running big water. Plus, you're buying 87 octane fuel – not premium, like some two- and four-strokes require. High torque: The natural two-stroke advantage combined with our super-natural fuel-injection and combustion system. That'll give you up to 23% more torque than a comparable Yamaha four-stroke. Hole shots? More like sling shots. High horsepower: Our horses never hold back. You get to your running speed faster. You hold it more consistently. Even when you're pounding big waves on big water. Less weight, more power: You're on plane faster, with less bow rise so you can see the open water in front of you. Simply better control and better handling. Durability & Reliability: More time on the water. It starts with more time on the engineering table. Every part, every system is designed, built and tested to go the distance. We put a lot more in. You get a lot more out. No break-in period: You go flat-out, right out the box, thanks to our boron-nitrate cylinder bores. It's your time on the water. Don't waste a second of it breaking in a four stroke. Sealed fuel system: Air can't get in. Fuel won't evaporate. No more gummed-up fuel systems. Your engine is well protected during storage. Clean & Quiet: Evinrude® E-TEC® is about creating memories, not pollution. Fact is, we're unbeatable on clean and quiet performance, even against four-strokes. We've passed them all. And they never heard us coming. Lower emissions: Three stars from the toughest emission standard in the world – the California Air Resources Board. Plus, we're the only outboard to win the EPA Clean Air Excellence Award. 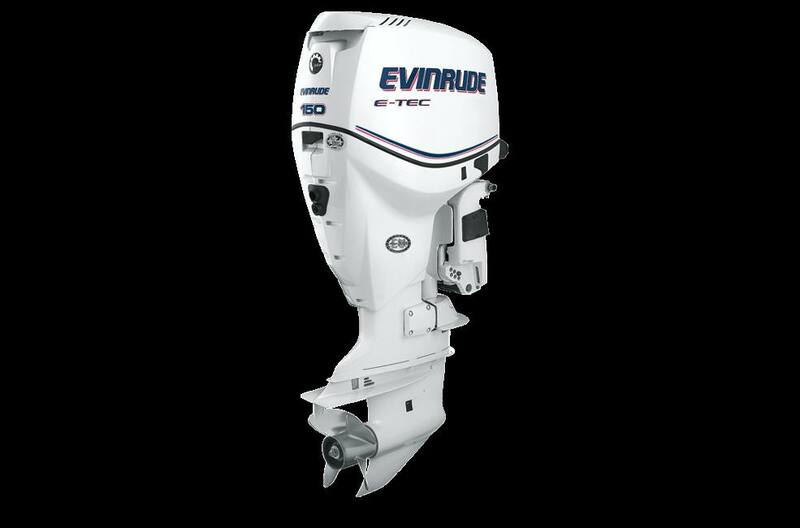 No other brand of outboards produces fewer reportable emissions that the Evinrude E-TEC family of engines. In-tune with the environment: No oil changes. No worries about disposal or where the oil ends up. Plus every drop of oil in the fuel mix goes into combustion, not the air or water. You're saving money and the environment. No smoke: Thanks to the advanced fuel and oil injection systems. You'll breathe a lot easier when you're out cruising a shoreline or trolling a weedline. Less vibration: Stratified combustion for incredibly smooth low-end performance. An engine that's born to troll. Less noise: Comparable to the quietest four-strokes, thanks to our acoustically tuned intake and exhaust and 3-dimensional foam lining. Makes for easier conversation and extra stealth when you're tossing baits.